Medical advocates always hope they will not receive this notification during their shift. Even though they have trained for the scenario, are certified by the state to respond and have volunteered their time for this exact reason, it is still heartbreaking. The notification means that someone, somewhere in a hospital in Chicago has just disclosed that they survived a sexual assault. Medical advocates are dispatched on these calls by the organization they volunteer with, such as YWCA-Chicago or Resilience, notified directly by staff at the hospital. 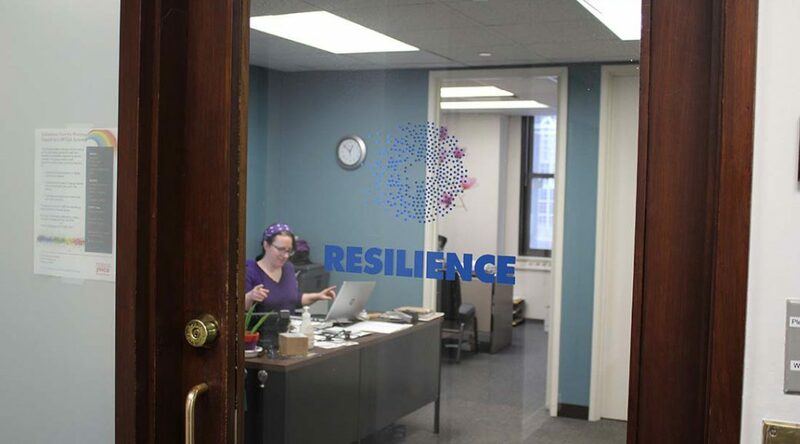 Cogan, on the development staff with Resilience, is a volunteer medical advocate as well for the Chicago non-profit that aims to heal and empower survivors of sexual assault. The medical advocate’s role is to support the survivor in whatever way the survivor chooses. Survivors must first consent to receiving an advocate’s services, and some may decline the help. For those that do consent, advocates can help navigate paperwork, clarify medical and legal jargon, or explain the rights a survivor is entitled to during emergency medical treatment. “Just your presence, in that space…makes the process a little bit easier, sometimes” said Cogan. Almost all the medical advocates at Resilience are volunteers, but this goes well beyond the type of casual volunteering you might do on Thanksgiving or as a day of service with your office. Medical advocates must complete 40-60 hours of training before ever responding to a call, and Resilience asks that they commit to two 12-hour shifts every month for a year. Most of the medical advocate volunteers have had personal experiences with sexual violence. Many are survivors themselves. Crisis intervention presents many opportunities for a volunteering survivor to relive their own trauma, and Resilience goes to great lengths to ensure that there is adequate support at every step of the process. “That’s a big, important part of our program. They never want you to feel burnt out or emotionally drained,” said Morgan Gorsuch, another volunteer medical advocate with Resilience. Volunteers are encouraged to contact supervisors before or after a call for emotional or logistical support. Each month, volunteers are required to participate in a supervision, either one-on-one with Blackwood, or in a volunteer support group. The concept of re-engaging with such a personal trauma is foreign to many outside of the realm of crisis intervention. “A lot of times folks who aren’t familiar with this kind of work can’t really grasp why someone would put themselves in a situation to really hold trauma space for somebody else,” said Blackwood. “It is a luxury, and a burden, to experience someone else’s pain but…to be alone would be worse.” said Gorsuch. “I would much rather traumatize myself a million times over to help these people on the worst days of their lives.” she said. If you or someone you know is dealing with sexual assault, you’re not alone. Confidential help is available free in Chicago by calling 888-293-2080 or nationally at 1-800-656-4673. Previous PostBreak down silos to make Chicago an electric transit leaderNext PostWhat’s on the ballot in Chicago’s 2019 election?